Spice up your wardrobe with this beautiful dress. 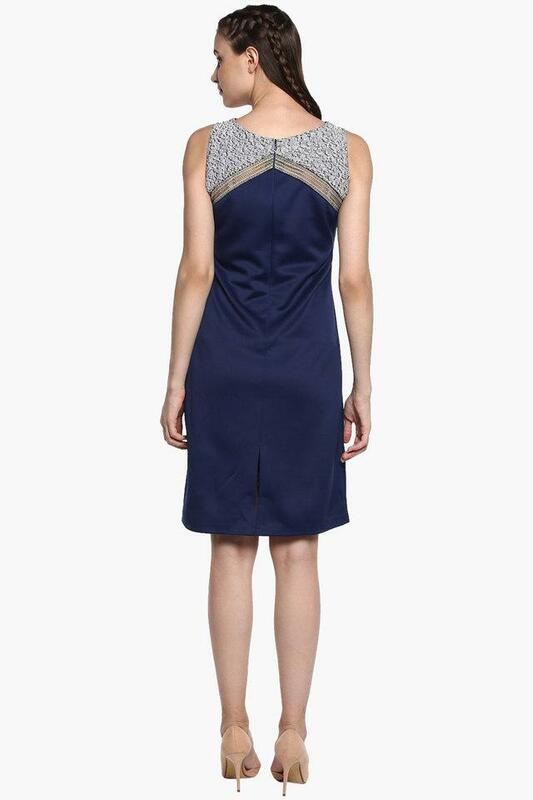 It features a round neckline and sleeveless design making it both chic and comfortable. 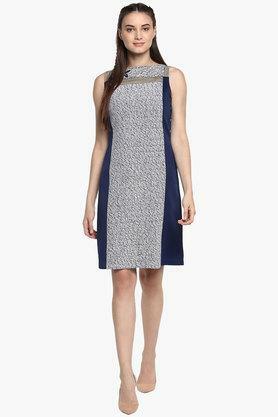 The beautiful self-print pattern and dual shades of the dress renders it a stylish appeal. The zippered closure at the back allows easy usage. This dress is brought to you by the house of Soie. It is perfect for a night out or even a more casual day at work.